Fossil collectors rejoice - now you can make your own latex molds, with our Mold Making Kit. 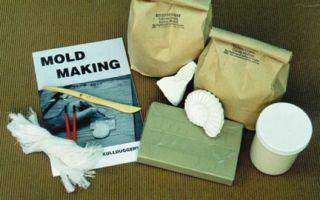 Learn about the history and practical uses of molds in the included booklet, then get started making castable molds of your own. Also comes with sample fossil casts to practice on!